The Banking system is the most common and known financial service provider all over the world. Combining banking and information technology has revolutionized the world over. The increased and rapid use of the internet and creation of information and technology has radicalized changes that have been observed in the banking practices from the traditional physical banking to cashless banking. Because of this it is an important need of bank to have the latest technology and highly developed services which increase trading, exports and improvise industry as a gift of globalization. Cashless banking has been on the rise in the recent years especially with deregulation and rapid technological advances in information flows, communications infrastructure and financial accounting markets. Banks are now aiming to decongest banking halls so as to reach out to a large market share and are heavily investing in cashless products eventually leading to increased revenue streams. Additionally, with banks needing to increase their revenue and utilizing customer unused deposits, there has been an increased financial trading on Bonds and foreign exchange the preceding being a risk free investment and has an assured return is becoming quite common in Banks due to increasing competition in the local banking sector. According to Tiwari et al., (2006), Cashless Transactions involve payment for goods and services by use of credit cards, debit cards, mobile devices and electronic funds transfer instead of use of hard cash or checks. These cashless transactions are known to attract transaction fees; debit and credit card application charges and electronic transfers also attract charges depending on whether it’s a local or foreign transfer. The wide-ranging economic developments of the previous decade such as the integration of world economies have made a significant impact towards increasing the mobility of the working populace and their families. At the same time, technological developments especially in the field of telecommunication have made it possible to offer innovative, location sensitive services on ubiquitous basis to customers on the move. In Australia, 37% of consumers made their payments in cash, compared with 47% in in 2013 and 69% in 2007, a once-every-three-years survey conducted at the end of last year finds. Meanwhile, credit and debit cards combined were the most frequently used means of payment in the 2016 survey, the RBA reveals. Adoption of cards over cash is propelling the Australia’s financial technology(fintech) revolution. According to findings by Reserve Bank of Australia (RBA, 2017), cashless transactions have overtaken the more traditional means for paying for goods and services. Continuous technological advancements have greatly increased product base in banks leading to new revenue streams such as mobile banking, telephone banking, automated teller machine withdrawals, electronic point of sale transaction, card usage, online banking and cashless transactions through bank agents and merchants. The basic purpose of this study is to establish the impact of cashless banking services on profitability of the banking sector in Australia. Majority of research done on this subject has focused on effects of mobile banking on financial performance of commercial banks. None of the studies reviewed has specialized on the effect of cashless banking on profitability in the banking industry. Therefore, there remain considerable debate surrounding the effect of cashless banking and profitability in the banking industry in Australia as there is no major study that has been done. The research will seek to answer these questions: what is the effect of cashless banking on profitability and market share of the banking industry in the banking sector in Australia? 1. What is the effect of cashless banking on profitability in banking industry? 2. What is the effect of cashless banking on the market share in banking industry? 3. What is the relationship between the growth of commercial banks and the cashless policy? 4. What are the advantages of Cashless banking to the banking sector in Australia? This chapter introduces the literature review adopted by the researcher and it captures the theoretical review and empirical review. Literature review is important to every research study. It gives an overview of what kinds of research have been conducted and what are the gaps in literature. Therefore, various research studies on Effect of Cashless Banking on profitability and market share which were conducted in Australia and abroad have been reviewed. The evolution of conventional money has been well documented in economics literatures. However, recent informational and communication technology developments have influenced the role of money in economic activities. As a result, we can now talk of electronic money and hence cashless banking. Empirical studies have attempted an estimate costs of payment instruments as it was done by Humphrey and Berger, in 1990, e-payment instrument user patterns by Humphrey et al 1996 and Carrow and Staten, 2000, the cashless and monetary economy (Gali and Gambetti, 2009; Kriwoluzky and Stoltenbery, 2010), and the role of Central Bank in a cashless economy (Claudia and DeGrauwe, 2001; Marco and Bandiera, 2004). With the arrival of electronic banking, not only has traditional banking reduced drastically, but also, the manual processes of recording transactions by hand has reduced. Banking has become efficient that customers can get their services quickly and reliably. Local and international transactions have become faster and require little time as compared to before (Sana et al, 2011). According to Ejiofor and Rosak (2013), it is the system with the ability to store money in an electronic wallet on a card which facilitates purchase of products at vending machines or at any point of sales terminals. Furthermore, Akhalumeh and Ohiokha (2012) see cashless banking as a system where transactions are not done while exchanging actual cash. They are It is considered a mobile payment system that allows the customers to make payment through cellphones with or without internet connectivity. The system has increased ease of doing business while at the same time creating more service options for the customers and reducing the cost of cash related crimes. The system also provides cheaper access to credit. There are signs of acceptance of electronic form of payments in Australia as indicated by eftpos which provides Australian-based convenient, and low cost debit card. By 2014 eftpos had more than 39 million debit cards in the market, which was acceptable in more than 800,000 point of sale terminals across the country. This in turn generated 2.4 billion transactions, with an aggregate value of $139 billion which represented more than 40% of all debit card transactions in Australia. As of 2018, eftpos is the most used debit card in Australia but it’s market share is being cut by the boom and adoption of new technologies like contactless and online payments methods. Eftpos is transforming their core infrastructure so as to provide upcoming Australian electronic payment platforms. It is revolutionizing processing, product functionality, to include contactless banking, online payment and mobile transactions. According to PwC report in 2016, significant changes in revenue due to the forces that shape the future of payment in Australia will take effect from 2020. It is predicted that the future market is will be stable and there will be a steady growth in revenues even though growing volumes because of transitioning from physical cash to electronic payments methods. Regulators and new entrants will affect pricing. The consumers are likely to be affected the most by the price pressures and migrating from credit to debit which will lower revenue growth rates for banks as opposed to the business sector. The most innovative and non-traditional players such as large tech players, new tech start-ups, telecommunications giants and retailers will see an increase in their market share by around 10% of their revenues by 2020. Technological developments in the market will facilitate the payment-chain participants and give them accessibility to compete for new and fresh revenue streams. There is a possibility that understanding the dynamics of the entire digital commerce lifecycle will be commercialized. This will go beyond the payment event to how consumers research before purchasing to what they will end buying, how they will pay for it, the frequency of item returns and how to better enhance their experience. There will be a boom in system to system integration because of ISO 20022 developments meaning that payment-chain participants will greatly benefit through value addition to business customers. Industry players invest heavily in new solutions that will increase convenience of the consumer through from transportation, to businesses adopting account based solutions to government entities investing in new business models. For this to be realized, financial service providers in Australia will have to embrace change so as to serve consumers and avoid the risk being creating a gap between them and their customers. It is with this reason that the Australian Payments Council started the Australian Payments Plan in December 2015 which acted as a roadmap for improving payment system for the next ten years. The most common channels of cashless banking channels known all over the world include but not limited to: mobile banking, internet banking, and telephone banking. It is growing in popularity because of the low infrastructure requirements and the rate at which mobile phone penetration is increasing. Services offered by this option include making account enquiry/queries, transfer of funds, cellphone vending, changing of passwords, and bill payments (Siyanbola, 2013). Banks have begun using mobile banking to serve their customers. Some of the features of mobile banking are: the GSM phone number serves as the account number which is linked to the customer’s account; it has a wallet which can be loaded just by moving cash from bank account. Also known as online banking and involves conducting banking transactions such as account enquiry, printing of bank statement; transferring funds, and paying for goods and services on the internet. It is facilitated by use of electronic tools such as the computer without visiting the banking hall. Similar to mobile banking, it is maximizing the use of electronic card infrastructure for executing payment instructions and settlement of goods and services through the internet between the vendor and the customer (Siyanbola, 2013). This is a physical plastic card that uniquely identifies the holder through a Pin and can be used for financial transactions on the internet. For example, an ATM machine and an electronic point of sale terminals are used to authorize payment to the vendor or seller (James, 2009). Some of the examples of electronic cards include but not limited to debit cards, credit cards, and releasable cards which require the holder to visit bank for top-up. Debit cards can be linked to ones’ local bank accounts and offers immediate payment confirmation. Credit cards on the other hand are used to link a customer to a credit line while at the same time it can be used to access local and international networks and are acceptable widely in most countries. Their infrastructure and operational rules are subjected to global trusted schemes (such as visa and master card) in addition to local lines (James, 2009). Development of efficient monetary transfer system is plagued by a lot of problems which are mostly related with infrastructural deficiency such as erratic power supply and communication link especially challenges for the case of developing countries. The government is liable in providing stable and efficient power supply and telecommunication system (Oleka, 2009). There is also the challenge of inadequate skilled managers and requisite tools for end users and client systems. Efforts should be put in place to ensure good infrastructure and skilled man power is in place. Large accumulation of cash in the economy is also a big challenge with cashless banking, the government should come up with legislations that will change the dominance of cash usage to electronic payments. The high cost of charges or cost for the e-payment terminals (ATMs) and there is need for banking legislation so as to standardize the charges for e-payment services (Littler, 2006). There is also inadequate security for fraud prevention, the banks are left with the need to install stand-by-camera in every ATMs machine for confirming to help in confirming identify of account operators. There is also need to employ good computer wizards to help in detecting and preventing frauds committed by computer hackers. The government has also done little to support improvement of e-banking, the central bank should be involved in creating public awareness campaigns and also in escalating infrastructural challenges to the relevant government agencies. With rampant power outages, most ATMs are left with no service to the customers which greatly slows down the rate and the number of electronic transactions. With power outage also comes the problem of failure of communication links between the banks and the ATMs. Power outages/instability also cause a lot of spikes which may damage the ATMs (Akinuli, 1999). Many banks have suffered loss of consumer information because of inadequate or lack of backup at all. Incidence of bank system suffering from corruption have led to the loss of information about a customers which in most cases leads to misappropriation of customers bank account. This means that banks should invest in a manual backup (ledgers) that will contain all the information about the customers (Akinuli, 1999). New information technology requires adequate funding to succeed, however, funds to be used in modernizing existing systems has been in generally short supply. There are a number of modern banking applications that are needed to be implemented which will allow integration of the banking systems. The banking system are continuously evolving because of the constant innovation especially around product development. There has also been a significant improvement in the speed in which funds are transferred within and outside the domestic economy (James, 2009). As much as electronic banking has been efficient, there is also noted unemployment created through modernization and automation of the banking systems. Most works that was traditionally done by humans have been replaced by machines thereby lead to minimum rate of employment and high rate of unemployment in the country (Oleka, 2009). The high charges imposed banks for electronic transactions have been the leading reason why many customers are discouraged from using the electronic machine for exchange of transactions for example charges for ATMs withdrawals and online transfer from one bank branch to another (James, 2009). There is generally a perception of mistrust on the machine by the consumers. There is a perception that fraudulent individuals use the system to carry out fraudulent activities especially banks using the computer to loot money from the bank accounts of the customers. There are also cases where customers have complained that sometimes when they go for withdraw with their ATM the machine will seize the cards and at the same time their accounts are still debited for the withdrawal that did not happen (James, 2009). Banks have not invested in making the electronic machines secure therefore making it easier for fraudsters to carry out their fraudulent activities without being nabbed. It is because of this that banks cannot prevent stop or detect any fraudulent activity. Most hackers use the system to steal customer information by breaking of codes. (Hodagho, 1996). There is the tendency for excessive withdrawals especially on weekends when the banks are not operational. Customers tend to use their ATM withdrawals a lot. When they run out of cash, they can rush to a nearby ATM machine to withdraw money for excessive spending, customers have been complaining about this in interviews conducted by the banks (James, 2009). Technological changes are taking place quickly and these changes are acting as stimulus for banks to move towards cashless banking foundations. several studies have been conducted to examine the impact of electronic banking, internet banking or mobile banking on banks profitability. Studies show that, banks that introduced Automated Teller Machines (ATMs) pretty early, secured large market share compared to their competitors. It is shown that they have a competitive advantage especially through cost reduction. According to Dos Santos & Peffers (1995) they believe that ATM machines have increased bank’s revenues which in turn has led to growth in income. Simpson (2002) studied the impact internet banking had on the profitability of bank profitability in USA. His analysis confirms the theory that operational efficiency was witnessed use of internet banking where there was increased revenue and decreased costs. The US benefits from strong information technology framework which leads to revenue generation is more compared to emerging economies banking sector. Holden and El-Bannany (2004) also carried out research studies to check profitability of the UK banking industry as a result of introduction of modern e-banking equipment along with traditional measures like bank size, market share etc. the results from the study show that ATMs machines tremendously increased profitability of the banking industry in the UK. Hernando and Nieto (2007) also carried out a study of the Spanish banking sector so as to determine the impact of investing in information technology framework. Their research shows that internet based banking improved bank profitability. DeYoung, Lang, and Nolle (2007) tried to conduct an evaluation on the impact of internet banking by surveying on 424 US community banks. It was observed that there was a massive increase in revenue during study time in deposit service charges head. The study also highlights a change in loan proportional mix. The study shows that internet banking increase flow of deposits to money market investments. Commercial banks are fighting off the pressure brought about by globalization and competition from nonbanking in the strive to add value to the services. There are questions as to what drives profitability and market share of the banks. Several efforts have been made through research have gone into addressing these questions, starting from the strategic level and going down to operational details. There was a study on bench marking the business strategies of leading retail banks that was carried out by the bank strategies of leading retail banks (Vander Velde 1992). The study was based on the opinions of heads of retail banks at all commercial banks and it revealed that there was a linkage between marketing, operations, organizing excellence. These findings led to the formulation of the service management strategy (Foth and Jackson 1995). The capabilities service quality-performance trail is, in turn, a focused view of the service profit chain described by (Heskettet all, 1994) based on their analysis of successful service organizations. It is evident from the previous literature that several studies conducted on this issue but very few in Australia. This study is different from other because it incorporates all the cashless banking dimensions. Call center banking is not previously considered potential dimension of cashless banking to checks its outcome on profitability. This chapter deals with the procedures used in conducting the study. It identifies the procedures and techniques that were used in the collecting, processing and data analysis. The chapter contains the following; research design, target population, sample design, data collection and data analysis. The study adopted descriptive research which attempts to describe or define a subject, by creating a profile of a group of problems, people, or events, through the collection of data and tabulation of the frequencies on research variables or their interaction as indicated by Cooper & Schindler (2003). The design best suited this research because it allows for an in-depth study of the adoption of cashless banking in commercial banks. This study used of both secondary and primary data for analysis. The raw data on cashless banking data was collected from quarterly and annual reports of Commonwealth Bank, NAB Bank, Westpac Bank, St. George Bank, and Suncorp Bank. Return on Equity (ROE) was used as a proxy for profitability, calculated from Financial Analysis reports of the banks under study. Data for this study was collected targeted 3rd quarter of 2011 to 4th quarter of 2016 with a total of 30 observations being made. Variables under study comprised of Return on Equity (ROE), Volume of ATM Transactions (ATMT), Volume of POSs Transactions (POST), Volume of Call Center Transactions (CCT) and Volume of Mobile Banking Transactions (MOBT). This section presents the descriptive statistics for all the variables used in the study. Table 1.0 presents the descriptive statics of the variables under study which are: Return on Equity (ROE), Automated Teller Machines Transactions (ATMT), Point of Sale Transactions (POST), Call Center Transactions (CCT) and Mobile Banking Transactions (MOBT) from 2011 to 2016. The mean value of Return On Equity in Australian banking sector is 3.26% per quarter with range from 1.57 % to 4.77% lowest in 3rd quarter of 2011 & highest in the 3rd quarter of 2016. Automated Teller Machines Transactions mean value is at 3,8402.10 transactions per quarter, with lowest number of transactions in 2nd quarter of 2011 and highest in the 4th quarter 2016 which is growth of 402%. The average of Point of Sale Transactions stood at 4,705.484 transactions per quarter with lowest being 3,411 in 1st quarter of 2013 and highest 7,676 in 4th quarter 2016. The mean value of Call Center Transactions stood at 197.68 transactions per quarter with lowest, at 157, in the 2nd quarter of 2014 with the highest, standing at 278, in 2nd quarter of 2013. Correlation provides an insight into the relationship or the association that exists between the variables. Table 2.0 present the relationships between each of the variable studied. ATMT and MOBT is shown to have positive and significant relationship with ROE of the banks. POST is shown to have a positive but not a significant relationship with ROE of the banks. CCT is the newly tested variable and is shown to have a negative but with a significant association with ROE of the banks. Highest no significant correlation was found to be between ATMT and MOBT, whereas, the lowest non-significant correlation was between ROE and POST. The regression results which are shown in table 3.0 above shows the value of [R.sup.2] at 42.92 % meaning that close to 43% of the increase in the profitability of banking sector is as a result of cashless banking factors. 57 % of increase in profitability is due to other untapped factors which have were not considered during the study and hence have not been incorporated in this model. The value of the F Statics is great at 5%, and therefore rejecting the null hypothesis in the process affirming that our estimated coefficient values of independent variables are not equal to zero. This therefore show that cashless banking has significant impact or effect on profitability of banks in the Australian banking sector. findings on the effect of cashless on banks profitability. The outcomes of the study also show that all the studied variables are meaningful at 5 %. However, LATMT and LCCT have less significance and the other two in this case LPOST and LMOBT, have positive significance. There is a strong indication that LPOST has a positive impact on profitability of the banking industry in Australia. This is shown by the fact that a 1% increase in LPOST leads to 2.69% increase in profitability. Part of the reason this is significant is because it is convenient and secure for customers to use POS. POS also increases customer's confidence as well as perception of the bank improves in customer's mind due to ease for user. There is an increase in deposits in the banking sector which through efficient channels increases profitability as shown by previous studies by Karimzadeh in 2014. There is also a strong indication that LMOBT has positive and significant impact on banks profitability, which indicated by the fact that that 1% increase in mobile banking transactions leads to 0.59% increase in banking profitability. There is a significant fact that mobile banking provides ease to customer to do their transactions without visiting the branches. It also increases employee performance by reducing fatigue which also increases profitability. The result is confirmed by the research carried out by Rauf and Qiang in 2014. There is evidence that LATMT has negative with a major relationship with profitability, as indicated by the fact that 1% increase in ATMT leads to 2.75% decrease in banks profitability. Some of the reasons attributed to this are: breakdown or failure of ATMs b, shortage of cash in ATMs, increasing case of ATM frauds, theft at ATM and long queues on certain days of the months. The above reasons have shown that there is reduced sense of security and ease which ultimately reduce profitability. These results are backed by similar studies done by Albert, 2010 and Giordani & Floros in 2015. It is also shown that LCCT has negative and significant impact on profitability of banking industry which is supported by the fact that 1% increase in LCCT leads to 1.93% decrease in banks profitability. However, this variable has not been tested before in relation to banks profitability. This service is usually considered by customers for non-financial transaction rather than financial transaction that results in increased operational costs. Some of the reasons for outcome could be as a result of long waiting time on calls that is which do not provide any sense for ease. One more prominent reason is because of lack of trust to divulge information dealing with monetary aspects with fear of leakage or breach of confidentiality. There is evidence of huge and significant investments made by the banking sector on ICT infrastructure to provide the banking services to customers with convenience but lowest cost possible. Cashless banking is a way towards the innovation in providing the banking services to customers for them to avoid carrying cash. This research set out to establish that what impact cashless banking had on profitability of the Australian banking industry through ATMT, POST, CCT and MOBT during the period 2011 to 2016. For the first time, call center transaction was studied as a variable. The analysis show that POST and MOBT have a significant and a positive impact, as evidenced by a scenario where an increase in these services led to increase in profitability of the banks. There is evidence that to some point CCT the newly tested variable affect the bank's profitability negatively. This is because the feedback obtained from 19 out of 30 banks which are offering call center banking services to its customers. The service mostly used for non-financial transaction rather than financial transaction that results in increased cost. There is a lack of trust by customer on this channel because of fear of breach of confidentiality. There is also evidence that ATMs have negative and significant impact on profitability of Australian banking industry. Issues linked with ATM machines range from stuck ATM card are stuck in the machines or instances where machines do not dispense cash as a result of server link being down, which reduces customer satisfaction. Reserve Bank of Australia being the regulator needs to emphasize on commercial banks need to educate their customers on the need to use of cashless banking sources, this will ultimately lead to cost reduction as a result of less traffic at the banks’ branches. Need for banks to install sufficient standby generators in case of power failure. This is to help cover the deficiency of power failure. To ensure smooth functioning of the payment systems, the government will play a significant role financing payment systems that require capital investments and to create awareness of electronic products and their benefits to the public. 2. Akhalumeh, P.B & Ohiokha, F. (2012). Nigeria’s Cashless Economy: the Imperatives. International Journal of Management and Business Studies, 2 (2), 31-36. 3. Akinuli, O. (1999). Information Technology in Business Industry, Operational Application, Problems and future Challenges. C.B.N Bullion, Vol. 56, P.A 7-24. 4. DeYoung, R., Lang, W. W. and Nolle, D. E. (2006). How the Internet Affects Output and Performance at Community Banks. Journal of Banking and Finance (3):251-258. 5. Dos Santos, B. L., & Peffers, K. (1995). Rewards to investors in innovative information technology applications: First movers and early followers in ATMs. Organization Science, 6(3), 241-259. 6. Edet, O. (2008). 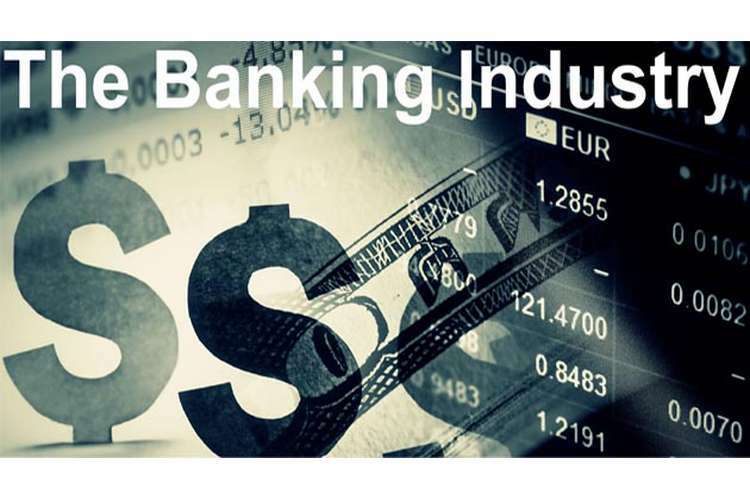 Electronic Banking in Banking Industries and its Effects. International Journal of Investment and Finance, Vol. 3, A.P 10-16. 7. Fox, S. and Beier, J., (2006). Online banking 2006: surfing to the bank. Pew Internet & American Life Project, [internet]. 8. Hernando, I., & Nieto, M. J. (2007). Is the Internet delivery channel changing banks’ performance? The case of Spanish banks. Journal of Banking & Finance, 31(4), 1083-1099. 9. Humphrey, D. B., Pulley, L. B. and Vesala, J. M. (1996) Cash, paper, and electronic payments: a cross country analysis, Journal of Money, Credit and Banking, 28 914-939. 11. Holden, K., & El-Bannany, M. (2004). Investment in information technology systems and other determinants of bank profitability in the UK. Applied Financial Economics, 14(5), 361-365. 12. James, A. (2009 April 21). Boosting Payment Solution with visa Cards. Daily Champion, .A.12. 13. James, O. (2009, April 21). E-payment and its Challenges. Daily Champion, P.A. 13. 15. Simpson, J. (2002). The impact of the Internet in banking: observations and evidence from developed and emerging markets. Telematics and Informatics, 19(4), 315-330.